Many authors dream of seeing their book published, on shelves, in a library, or just in their hands. Others dream about which of their favorite publishers might take on their projects and make them a part of their publishing families. I have now started dreaming of who would narrate my audio book. For many years, I never really listened to audio books, and if I did, they were adult non-fiction. I remember going into the audio book section and deciding that I would pick out a fiction book. I don’t read romance, and yet I chose Black Hills (a romantic suspense) by Nora Roberts and pulled it off the shelf. I was immediately swept away by the narrator, Nick Podehl. And I’m not the only one – he has narrated The Name of the Wind by Patrick Rothfuss and a little book called Wonder by R.J. Palacio. And in that moment, suddenly I thought to myself that I would listen to books he narrated, even ones I might not necessarily pick to read, because he was just that good. Imagine if he narrated one of mine! The next narrator I vocally fell in love with? David Tennant, as I listened to him narrate How to Train Your Dragon by Cressida Cowell, taking on myriad voices, including dragons. I had a total fangirl moment while at the movie Ferdinand when I thought he was voicing Angus, and couldn’t wait for the credits to see if I was right (I was). My dreams got more specific. Tennant is Scottish, and I started to wonder – could I set any of my books in Scotland to up my chances of scoring him as a narrator? Soon after that, I was totally entranced with Katherine Kellgren and her amazing voicework in The Incorrigible Children of Ashton Place by Maryrose Wood. I loved her narration so much that I became immediately attached to her and to the way she voiced these beautiful and charming characters, complete with howls. Sadly, Kellgren passed away in 2018, and I experienced such a feeling of loss for her, for the rest of the Incorrigible Children’s series, and for my own future hypothetical stories. My most recent dream narrator is Jim Dale (join the club!). One of my son’s was delighted to find Harry Potter and the Sorcerer’s Stone by JK Rowling in the audio book section of the library one day, and of course we checked it out. With so many characters, it was amazing to hear the way Dale made each one come alive, each character recognizable before we even get to the dialogue tag. It inspired me to work harder to make my characters unique. And Dale himself is recognizable to me, now, as well – I had such joy when I realized that he is also the narrator on the version of Peter and the Wolf by Sergey Prokofiev we listened to last month. Audio books are not just a wonderful way to experience a new story, but fodder for you to dream as a writer – who would you love to hear read one of your books? It’s the most desperate feeling. An idea hits – for dialogue, a character or a chapter, and darn it, I can’t find a piece of paper. Help! It happened last week. I was driving and thinking about one of my picture books, and finally figured out the ending (that I’ve revised umpteen times). I know, I shouldn’t drive and revise. I couldn’t wait until I got home. I had to tend to this spark immediately. So, I pulled into a parking lot and opened my front seat console where I stash scraps of paper. 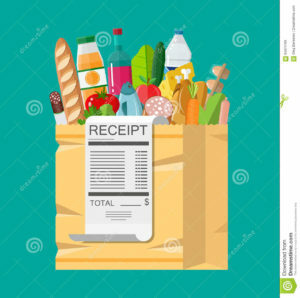 I saw my pen, but no grocery receipts, dry cleaner pick-up tickets (which have lots blank space!) or business cards. My always-reliable mini notebook was filled up. Surely, I would find a napkin or paper or facial tissue in my purse. Nothing, not even a bookmark in my book. Next, I checked the glove compartment. The car manual cover? Nope. The front and back are black. Obviously, they didn’t have writers in mind when they designed it! I considered typing into the notepad on my cell phone, but it hardly had any power. Then, I felt under the passenger seat. Something slippery. I pulled out an ad circular and tested my pen on the one-inch margin at the top. It worked! I wrote in cursive, small enough to fit sentences in the margins on the front page and turned the page… I was on a roll! I wrote a paragraph and a new opening for a magazine article. Thank God for circulars! The last time I felt that desperate, I resorted to writing an idea for a picture book on my empty coffee shop cup. Perfect cardboard and generous space. But, have to say, I still prefer napkins, especially restaurant ones. Oh, and lest I forget, giftwrapping and paper bags. By the way, I wrote this blog on the back of a bill. What have you written on lately? It happened last week. I was driving and thinking about one of my picture books and I finally figured out the ending (that I’ve revised umpteen times). I know, I shouldn’t drive and revise. I couldn’t wait until I got home. I had to tend to this spark immediately. So, I pulled into a parking lot and opened my front seat console where I stash scraps of paper. 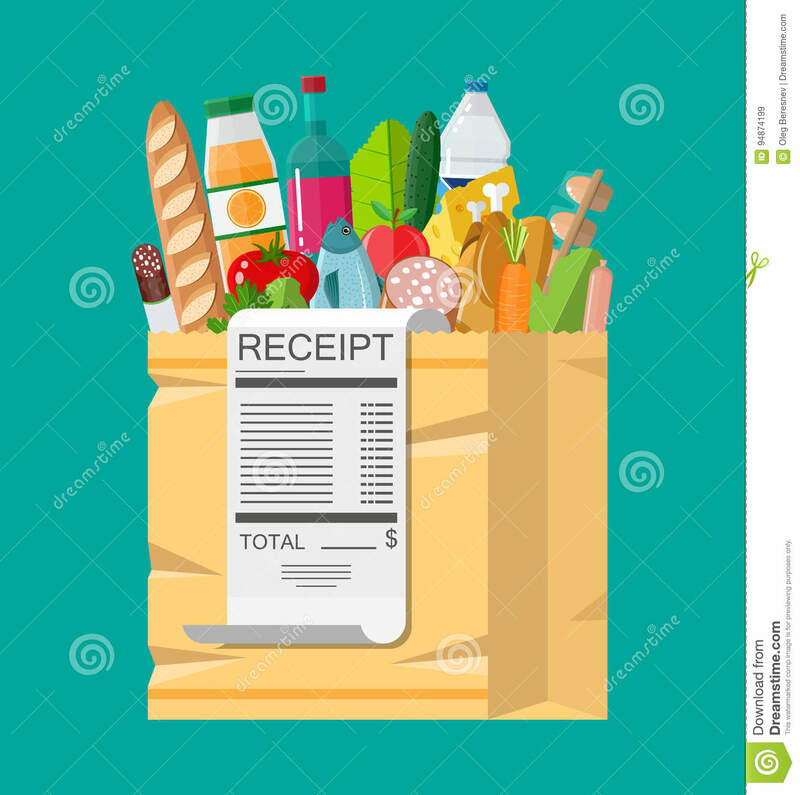 I saw my pen, but no grocery receipts, dry cleaner pick-up tickets (which have lots blank space) or business cards. Surely, I would find a napkin or facial tissue in my purse. Nothing, not even a bookmark in my book. There wasn’t any old snail mail laying around on the floor of my back seat. I checked the glove compartment. The car manual cover? Nope. It has a solid black front and back cover. Obviously, they didn’t have writers in mind when they designed it! But, have to say, I still prefer napkins, especially restaurant ones. Oh, and lest I forget, giftwrapping and paper bags from stores. I was off in the wilds of Park City, Utah, making epic turns in piles of powder, when the unexpected happened. I was halfway down a groomed, intermediate run, when I realized the slope had turned icy. I immediately made a snap decision to move over to what I thought was softer powder on the side. But this snow had melted in the previous day’s sun and had turned crusty overnight. Unfortunately, I was in the thick of it, turning at a high speed. My right ski got caught in the crud, while the rest of me kept going. Down I went, landing hard on my right shoulder. This was no routine spill. When I tried to get up, I was hit with an unusually sharp pain. I lay there in disbelief, gazing up at the pale blue sky. Suddenly, a friendly skier appeared at my side. “Are you okay?” he quipped. “Need help getting up?” He reached out his hand. “Maybe I’ll just lie here for a while,” I answered, still peering at the sky. “I think we should call Ski Patrol,” he said, more seriously. This kind angel in goggles smiled, but proceeded to take out his phone. 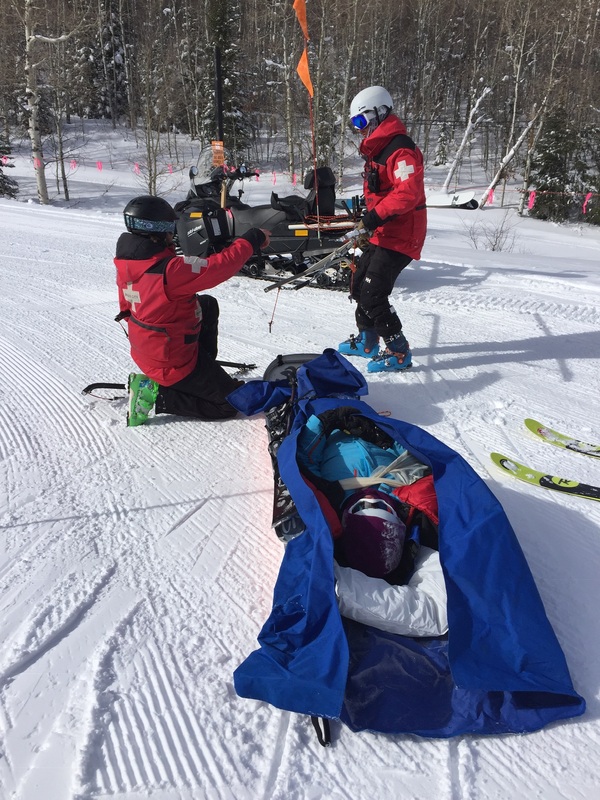 I said okay, and before I knew it, the first Ski Patroller had arrived. After a routine exam, he calmly announced that he was pretty sure my collarbone was broken. Then, he called for a sled, and after a surprisingly smooth and enjoyable ride down to the medical clinic, it was confirmed. I had a distal fracture to my right clavicle and would be wearing a sling for the next 6-8 weeks. Back at our condo, my concerned cousins gathered around me. One suggested I put on lavender oil. Another said I should sit by the fire and prop myself up with pillows. But a third offered something completely different. 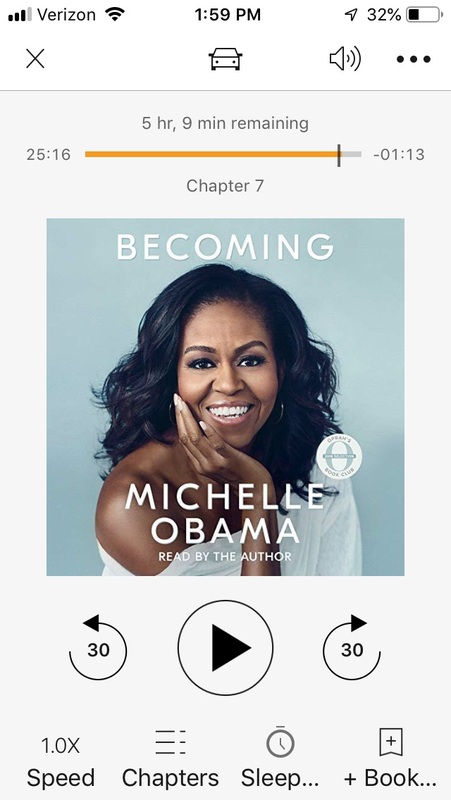 “You should listen to an audio book,” she said. “It’s the best way to relax.” Hmm, I thought. I hadn’t listened to a book in years. Not since my own children were young and we were on a family car trip. I prefer holding a book, rereading pages as I go, and marking interesting passages with post-it notes. But with limited movement in my right arm, and an impending flight home the next day, I decided to try it. I downloaded the Audible app and began listening to Michelle Obama read her best-selling memoir, BECOMING. Once home, a friend called to see how I was doing. I said I was on the couch, listening to a book. She told me she loved audio books. She found them comforting and they reminded her of being read to as a child. I thought about my own childhood experiences with books. My earliest recollection was of my mother reading to us from a thick volume of poetry and fairy tales. I still have that book on my shelf and each time I open it, memories of listening to her read LITTLE RED RIDING HOOD or Over in the Meadow, come flooding back. My mother also took us to the library each week for Story Time, and read us books from the Dr. Seuss Book-of-the-Month club. Additionally, my brother and I watched and listened to Captain Kangaroo read picture book classics like MAKE WAY FOR DUCKLINGS, CURIOUS GEORGE, and MADELEINE on our black and white Zenith. But my strongest memories of being read to were from elementary school. Our teachers read to us after lunch or at the end of the day. I can vividly remember being whisked off to Wilbur’s farm in CHARLOTTE’S WEB or out to the ISLAND OF THE BLUE DOLPHINS where Karana foraged for crabs and hid from wild dogs. I traveled back to the Revolutionary War with JOHNNY TREMAIN and onto the high seas in CAPTAINS COURAGEOUS. And nothing compared to the magic of Middle Earth in THE HOBBIT or the fantastical world of A WRINKLE IN TIME. These books pushed my imagination to places it had never been before. And the cadence of my teachers’ voices, appropriately calm and dramatic, allowed me the luxury of conjuring up these adventures in a strikingly visual way. It was different than reading the books myself. It was soothing and transporting. As writers of books for children, we must always consider how our books sound when read aloud. Stories that allow our voices to be compelling, humorous, or lyrical draw the listener in. And when children are read to, it motivates them to improve their reading skills, so they can someday read these books on their own. 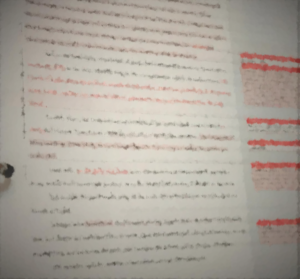 When I’m working on a challenging passage in my own work, I often record myself, then listen back to check on the authenticity of a character’s voice or the pacing of a scene. I’ve even recorded chapters of mentor texts so I can hear why the writing works so well. It’s also beneficial to have critique partners read your work aloud so you will know how others might interpret your words. And although I still prefer reading a hard copy of a book – holding it in my hands and going through it at my own pace –I now have headphones nearby. Michelle is waiting to read to me. And I can’t wait to snuggle under a blanket and listen to her. 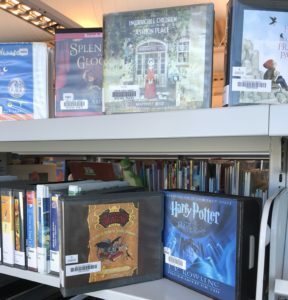 Do you prefer hard copies of books, reading on an e-reader, or listening to audio books? I was in the doldrums. It was the end of December and I had just completed my most recent writing project. My writing life stretched out in front of me. What, I wondered, would I write next? I had half-formed ideas for the picture books I wanted to write. The ideas were best when I roused in the middle of the night. “Brilliant! That’s it!” I would think, before drifting back to sleep. In the morning, I could only revive that feeling and not the idea itself—lost forever in the ether of dreamland. Fortunately, like a blast of fresh air, I learned about the Storystorm Challenge. It’s a month-long brainstorming event held each January. Picture book writers are challenged to generate thirty story ideas in thirty days. 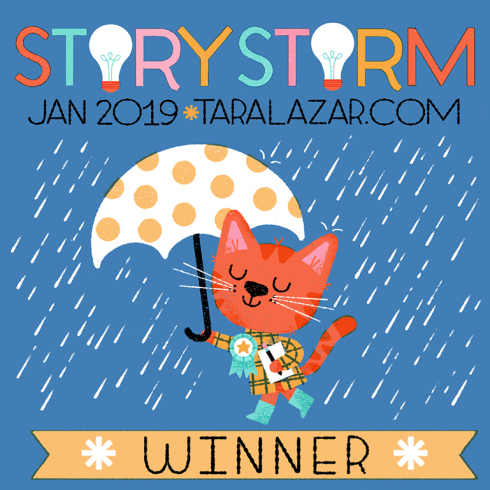 For me, Storystorm was exactly what I needed to jump start the new year. It gave structure and purpose to my musings and a solid goal to work toward. By the end of January, come rain or shine, the 11,235 participants and I would have a list of at least thirty ideas to flesh out into concepts and premises in the coming year. Started and coordinated by the esteemed picture book author Tara Lazar, the object is to heighten the idea-generating senses. Her January blog provides inspiration in the form of daily posts from published picture book authors and illustrators. They offer advice and insight into where they find their ideas and how they spark their creative process. Plus there are potential prizes! A “Winner” certificate! And it’s free! My own list started off slowly, one idea per day. Then, one of the daily blogs would inspire me to imagine something new, and then that would morph into another idea altogether. I remembered books I had thought of writing years ago. I started to see picture book ideas everywhere and they would come to me when I was not expecting them. The act of writing down my ideas was transforming, and numbering them was surprisingly motivational. By mid-month, I had at least 30 ideas and their related iterations. Another blog, by Andria Rosenbaum addressed how to tell difficult stories that I have sometimes considered writing. She wrote, “Hard stories … can’t change history but they have the ability to heal … and build empathy and understanding.” She continued, “If you have a tough story to tell, I hope you find a way to share it. You never know who may be waiting for your words.” That day, a variety of long-standing ideas that I had thought were too hard to write about for children found their way onto my list. Other bloggers encouraged picture book writers to remember things they misunderstood as children, to imagine the world as a child might, to explore their own childhood memories, to listen to their own children, to play with words and puns, to explore historic events and their anniversaries, to celebrate the “weird stuff” and a flurry of other advice. Author Shutta Crim wrote that Storystorm is about beginnings: first ideas, first notes and first drafts. That is exactly what Storystorm is for me—the perfect storm. Ready with my ever-growing list of ideas, I’ll embark on another challenge to inspire me for the rest of the year. I’ve joined other picture book writers in the online group, “12 x 12.” This is a year-long writing challenge in which members write twelve complete picture books drafts, one per month. After Storystorm, my only issue will be deciding on the lucky few (only twelve?) stories to take to completion and which ones I’ll have to save for a rainy day. At first glance, my magic notebook doesn’t seem very magical at all. It’s your standard half-inch thick, plastic-covered white three-ring binder, picked up at a thrift store for fifty cents. I’ve been a member of SCBWI for a long time. It took nearly a decade of plugging away at beloved middle grade novel before I realized that my writing group members had a much clearer understanding of my characters than I did — or ever would. My characters’ faces and bodies were always blurry; they changed ages with every re-write, and they never held onto consistent character traits. Despite assembling collections of photos and pages upon pages of dialogue, interviews and character traits, my characters were never real to me. Much as I love reading fiction, it finally became clear to me that my brain wasn’t wired to write it. With that long overdue understanding, I let go. At first, it felt like giving up. And then it felt amazingly freeing. Everything changed. Instead of creating fictional characters, I could research the real people and things that captured my interest. Instead of a long novel, I could focus on short pieces, less than a thousand words. And instead of books, I could write for magazines. And that is how the notebook came to be. I made a spreadsheet of magazine due dates and wish lists to slip into the front cover (with a background in engineering, I love spreadsheets!). The list included all the upcoming themes for Cricket Media’s family of magazines. For me, the structure of a desired theme was the easiest place to start. Simply having those dates and themes at the front of the notebook, where I saw them frequently, set the stage for the magic to happen. Ideas for articles kept percolating. I started asking friends what they’d want to see on a given theme — and found the question made for a great dinner party conversation! And then I started pitching. It took a lot of rejections and a bunch of typing out published articles to really get the sense of the style before an acceptance came. And I rarely cracked the cover. What mattered most was simply putting my notes in a place where I could see them and think about them. The true magic, it seemed, was in learning to change my habits. There are lots of opportunities to get a page, a set of pages, scenes, or even chapters critiqued – and then to sit down and polish those sections until they shine. Each of these are helpful and important steps to creating the best possible manuscript. I do encourage you, early in the process, however, to do what it takes to get a full novel critique. The key thing in a novel is how your main character changes and transforms. Unless you’re writing something more episodic (and I would argue that even in those types of stories, your main characters do have an internal shift over time), a key factor to whether your story will resonate with readers is what happens to the main character – not their external plot. You can’t get that valuable feedback on how well that shift is working unless someone reads the whole piece. Plot holes? Can’t find them unless you’re reading extended sections of your novel. Each of your scenes (even each of your pages!) could be filled with tension and conflict. They could have beautiful description, and zippy dialogue. But maybe your pages don’t have much description at all – and your critique group doesn’t say anything because hey, you just submitted chapter 5, and they’re assuming that the description is there in Chapter 4 (spoiler alert – it wasn’t). PURCHASE IT: One way to get a whole novel critique is to pay for one – the one you want at the early stage of your novel is a developmental edit. There’s no point in a copy edit (where grammar and typos are fixed) if the story needs to change. If you take classes, some of the teachers also do developmental edits on the side. There are many folks online who do as well (including some folks who are or work with literary agents!) – most will offer a sample of their work, and most are pricey, so really talk through what you want to accomplish and what they plan to deliver to make sure you’re paying for something that will be valuable. Ask questions around depth of edit, whether it’s a letter or inline comments (or both!) and how fast they will deliver. Developmental edits take time (typically weeks). Here are a couple of ways to get your novel critiqued using the barter system. NOVEL SWAP: One option is to ask someone to read your novel and give feedback, knowing that you’ll do the same for them in return. Keep in mind that this is a big ask, and that you’ll have to put out the work on the flip side as well. Make sure you’re ready to be grateful, regardless of their feedback, and that you are ready to be gracious in turn. Also be forthright with your word count, for both your sake’s. Think about how to make it feel equitable. Not all books are the same: if one of you wrote a 35,000 word middle grade novel and the other just finished a 155,000 epic fantasy (and you still want to swap! ), be prepared for how you can make that work and feel good for everyone involved. If you’ve met someone who is at a similar level to you at a conference or workshop, you could approach and ask them if they’d be open to reading and giving feedback on your novel and you would do the same for them. Classes (like Lighthouse Writer’s Workshop here in Colorado), especially those that involve getting feedback on pages, can be a great place to meet people and see if there’s someone you want to approach. If you’re not an active participant of an in-person community, or you’re an introvert who can’t imagine asking someone to do this in real life, you can turn to online writing message boards. I’ve actually read someone’s whole novel and provided feedback when I was active on Absolute Water Cooler. If you’re a member of SCBWI, you could look to get feedback by posting on the Blueboard. I HIGHLY recommend that you engage with the community first before you start asking for folks to read your whole novel. ADJUST THE FOCUS OF YOUR CRITIQUE GROUP: Already in a critique group? You could totally ask a member of your group if, on the side, they’d be willing to read your full. But you can also shift the focus of the group. In our critique group, we decided that each member could submit a full-length piece one time per year to get feedback from the group. And if you didn’t finish a book that year, you could opt to submit whatever you had – your choice. It kept the flexibility for folks who didn’t finish a book to still have plenty of opportunities to submit shorter works each month, and for others who did finish to get that critical whole novel feedback. 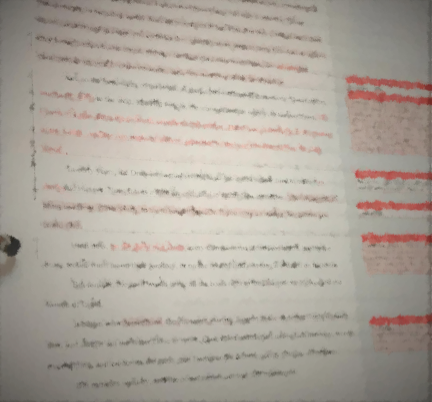 Whatever your method, make sure that you’re looking at your novel both in parts and as a whole so that you create the best piece of work that you can. I finished. I was wildly happy. Exhausted. Exhilarated. Excited. It was 6:36pm November 30th and I had completed goals that I set November 1st: first draft of a new young adult novel (YA), another revision of my first YA (that I started six years ago), another revision of a new picture book. I didn’t know what to do. My fingers, arms and neck were sore. Take a bubble bath? Eat chocolate? Email my critique group? Call my husband? I have finished works in progress before, but this time I felt different. Proud. Very proud. It marked the first time that I pushed through several projects simultaneously and kept at them even when it felt mundane, even when I felt incapable. It was a wild ride. Writing madness! Oh, I knew what I should do next – tomorrow. Revise and edit, then submit to my critique group; then, research agents, revise synopses and query letters. I’m grateful that I know the drill now, thanks to my critique group and other writer buds. They get it; I get it. But, on November 30th, well, honestly, I felt a bit lost and freaked out. I saved all my documents, stretched, yawned, and walked around our house. Opened and closed the fridge. I wasn’t hungry. Opened the cabinet where we keep our chocolate stash. I didn’t even want a piece. My usual incentive-treats didn’t fancy me. I started humming Lionel Richie’s, “Oh, what a feeling, when we’re dancing on the ceiling.” I skipped into our living room. I felt a rush of giddy. Very giddy. Then, I sang, “What a feeling, bein’s believing,” from What A Feeling (Flashdance movie theme song). I “YouTubed” it. Turned on the stereo. All connected. Volume up. I swayed and sang, “First when there’s nothing, but a slow glowing dream…” I turned the volume up more. The dance floor was all mine! I moved slowly. Turned on a lamp. And then, I stomped, spun, sang, shook my head up and down, waved my warms up high, clapped, made up dance moves… My steps sped up when I sang (really loud), “Take your passion, and make it happen.” I teared up; I laughed. I couldn’t stop. I played it over and over, and kept right on dancing. I cranked the volume more. I recalled my first apartment after college when I was working as an editorial assistant. I would play my Flashdance soundtrack cassette tape on my clumsy tape recorder and dance all over my apartment. I would imagine being a writer. Some day. Wow! Awesome coincidence. I fired up song after song and kept dancing. 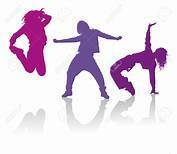 Happy, I Love Rock And Roll, Walking On Sunshine, Footloose, Born In The U.S.A., We’re Havin’ A Party, Everybody Needs Somebody To Love, Ho Hey, Rolling In The Deep, Roll With The Changes, I Will Wait, Get The Party Started, On Top Of The World. My dance party lasted 1 ½ hours! I had no idea till I stopped to wipe the sweat off my forehead. I had a blast. FINALLY, I celebrated. I’ve heard writers talk about take time to celebrate, but honestly, I wasn’t sure what that meant. I admit, I thought that I had to wait till “that” day when an agent accepts. Forget that! From now on, I am celebrating every finish – big or small. Perhaps, I can start a playlist for writers! 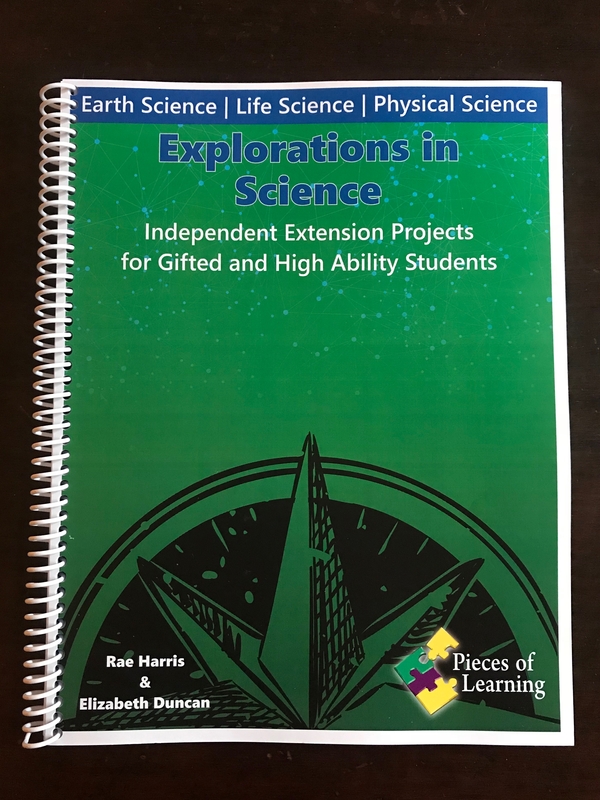 I am pleased to announce the publication of Explorations in Science: Independent Extension Projects for Gifted and High Ability Students. The book will help teachers differentiate instruction in their classrooms for their advanced learners. A companion volume, Explorations in Social Studies,is due out in January. Gifted education was my specialty during my teaching career. I worked directly with small groups of gifted and high-ability students, as well as functioned as a resource for teachers who taught in mixed-ability classrooms. Gifted students have abilities that place them in the top 10% of the population and their needs are often overlooked in a one-size-fits-all educational climate. These students are expected to sit through the presentation and review of information that they already know or that they learn very quickly. To address this problem, over the years I developed extensions of curriculum that advanced students could work on independentlyduring class, while the teacher and other students in the class were involved grade-level instruction or review. I found these worked well to keep advanced students engaged in school and excited about learning. These were the genesis of Explorations. My colleague, friend and co-author Rae Harris and I thought these kinds of projects we had developed at our schools would be helpful to teachers and welcomed by students. After much thought, we started to call our projects “Explorations.” We knew there were few, if any, resources that were similar to what we wanted to write. 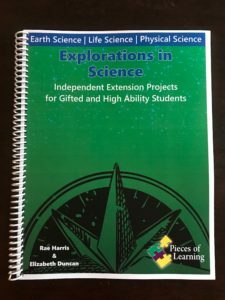 We contacted a publisher of gifted and talented resources and proposed our idea. We included some sample Explorations and the many reasons we were qualified to write thisbook. “Pieces of Learning Press,” a leading publisher of gifted and talented materials, wrote back saying, “We like it!” A contract, reviewed by our legal team (our husbands), was promptly signed. Then we went to work. Consulting the NextGen Science standards, we determined the curricular topics we needed to cover. The science standards led us to divide the book into three sections: Earth Science, Life Science and Physical Science. We decided that ten Explorations per standard would allow teachers and students ample choice. Our Exploration topics would include topics like volcanoes and space, endangered animals and human body, and electromagnetism and light waves. Rae and I designed a teacher and student-friendly, two-page format that focused on interesting topics that extend the science curriculum for 3rd-6thgrades. We wrote each Exploration with an educational focus, complex and rigorous important questions, several creative project options and a structured project completion tasks. We dreamed up all the extras we knew teachers would need, like student directions and evaluation rubrics, and created these as well. Over the course of several months, we met weekly at our local library work on the book. We delved into topic areas and explored resources. I immersed myself in each topic, researching (for example) physical scientists and their theories, the newest missions in space or alternative energy sources. The best part was thinking up the creative projects that were challenging and interesting, as well as do-able by a student working independently in a classroom. We did final edits on the book and it was submitted. We received and reviewed the proof and found a surprising number of errors. We corrected the proofs, got a second proof… it was getting there… more corrections, then it was finalized. We were excited to get a peek at the cover and back of the book in an email. Finally, it was done and we held a copies of the finished product in our hands. And, it is ready for the publisher’s booth at the National Association of Gifted and Talented (NAG/T) annual conference, which starts today in Minneapolis. I imagine my book, Explorations in Science,finding its way into the hands of teachers in a variety of settings- in a large urban classroom or a small rural school or a homeschool table. I picture students, like Trevon or Katie or Maria or Edwin (real people I have taught) connecting with learning at a deep level while working through an Exploration. It is my great hope that my own creative work and ideas will make a difference in the education of a child. Today is November 1, and if you are a writer, you might be sitting at your computer right this very second wondering if you should start pounding out a new novel. Because November is “National Novel Writing Month” or “NaNoWriMo.” For those of you don’t know what I’m talking about, NANO is an international phenomenon that challenges writers around the world to write a 50,000-word novel in one month. That’s right, 30 days (not 31) with Thanksgiving and all its trimmings- traveling, shopping and cooking – thrown in at the end along with your deadline. And despite this daunting description, hundreds of thousands of people do it every year. They gather in coffee shops, hole up in libraries, and sit together at dining room tables (mine) and get that novel written. Personally, I’ve done it twice. And I have to say – the excitement of creating a new work of fiction in 30 short days has its appeal. To start with, there’s the adrenaline rush of sitting down every morning (or night), not knowing what will happen. There are characters to flesh out, new worlds to build, plot twists to create. And the folks at NANO headquarters have created graphs to plot your progress. You build your word count, read inspirational Pep Talks, and attend Write-Ins in your neighborhood. It’s an amped up world of writing that has a beginning, a middle, and an end – something writers often find elusive in their weeks, months, and years of revising. So if this is something you want to try, go for it. All you have to do is log on to the Nanowrimo.org website and sign up. It’s definitely worth doing at least once. Only this year, I’m opting out. As much as I’d love to dive in and create something completely new, I have three middle grade novels in various stages of revision. Two of these manuscripts were actually created during previous NaNoWriMos. And I love these stories. Seriously love them and the casts of characters that inhabit their unique worlds. 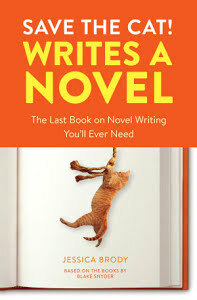 But recently, a dear writing friend (fellow Story Spinner Coral Jenrette) told me about Jessica Brody’s book (and online class) – SAVE THE CAT WRITES A NOVEL – https://www.jessicabrody.com/for-writers/online-writing-courses/. It is a companion book to Blake Snyder’s super popular SAVE THE CAT book for screen writing. And although this method is designed to help you create a compelling plot, something you may want to do before attempting NaNoWriMo, I also think it is the perfect post-NANO tool. SAVE THE CAT WRITES A NOVEL analyzes the plots of many highly successful books and movies by breaking down the elements of the story into a 15-step Beat Sheet or Novel Road Map. The beats take you from the (1.) Opening Image all the way to the (15.) Final Image. Not only are the various components explained, you are also given the approximate amount of time you should spend on each beat (percentages), and exercises to help you work on your own story. Even though I wish I had done this type of outline before I attempted NaNoWriMo, it is not too late. The Beat Sheet is also the perfect tool for revising a first draft. And in fact, that’s exactly what I’m going to do. I’m pulling out my contemporary middle grade novel that I Nano’d in 2014 and digging in. This book began with a loose outline that changed as I wrote. (All first drafts do this, right?) The good news is, I really got to know my cast of characters during NANO. But now, as I craft my Beat Sheet, I realize that many of them have to go. There are way too many people in this story! And my protagonist (hero) has too many problems. She needs one major “flaw” and a focused need. When reading over my first draft, I also realized that the arc of the story is draggy in the middle and rushed at the end. But with the Beat Sheet, I’m ready to begin draft #2 with a much tighter story. My characters (the ones that survive) are more interesting and directed, my obstacles are more devastating, and my ending is more satisfying. I still have A LOT OF WORK TO DO, but I’m pumped and raring to go. I’ll still devote November to writing a draft, but I’ll be doing it at my own pace.